UPDATE: With the next New Year's cigarette and tobacco price increase about to take effect and plain packaging about to become mandatory throughout New Zealand, it's more important than ever to consider the possible benefits to your health and your wallet of quitting. Statistics estimate that 15% of adult New Zealanders smoke, or a total amount of around 550,000 people. Smokers in New Zealand have it tough in so many ways, and it's about to get even tougher. Not only are smokers mired in an unhealthy and destructive habit, every year this habit takes more and more out of them financially. Since 2010, due to new tax laws passed by parliament, the price of cigarettes and tobacco has risen dramatically. A pack of 20 cigarettes has risen from around $13 to between $22-27 in 2017 (between $24-30 in 2018) depending on the brand of choice. With 10% tax increases set in law at least until 2020, smokers can expect that they will soon be paying upwards of $30 per pack or $1.50 for each cigarette. A pack a day smoker will be out $200 per week, a cost likely higher than all their groceries for the week combined. In 2017, each of these set their owner back over $1 a piece. In 2018, the cost is set to rise yet again. 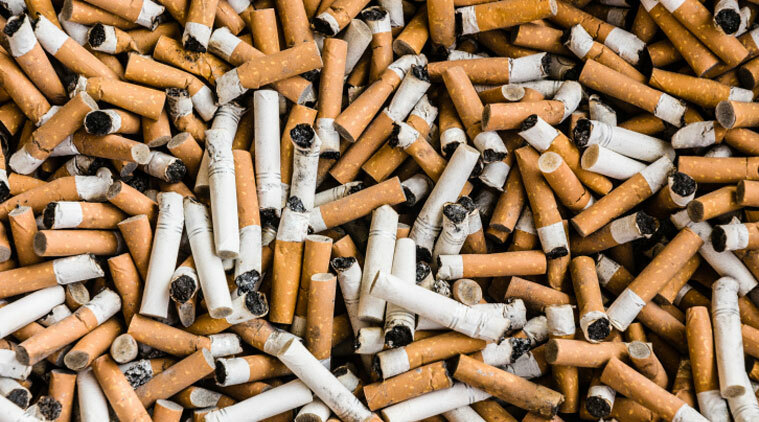 Unfortunately, that's not all a cigarette habit can cost. If you're a smoker and you have personal risk insurance in the form of life, trauma, TPD, income protection or health/medical insurance, you're paying a lot more in premiums than non-smokers are. This is because as a smoker, you are more likely to develop serious health conditions and thus, you pose a much higher risk to the insurer. How much more will a smoker pay? In some cases it can be up to double the amount of a non smoker of the same age. The good news is, that if a smoker manages to quit, their premiums can be revised and changed down to a non smokers level if the smoker manages to maintain it for a significant period of time. For instance, if you quit smoking 12 months ago and are paying smoker premiums on your insurance, you will be eligible to apply for changes and have your costs significantly reduced. A pack a day smoker who manages to quit could easily save between $12,000-$15,000 a year through not having to pay for smokes combined with the savings on their insurance. That is enough for a significant vacation, a brand new car or many many shopping sprees. Even those who only smoke a pack or two a week could save around $5000 a year by cutting it out. With the cost of the habit now sure to increase further in the years to come, now could be the time to dial it back or endeavour to quit entirely. Your wallet would definitely thank you for it. 1. Insurance Mistakes Can be Costly. While we can sometimes think of insurance as being a simple matter, it can no doubt be a complicated prospect and the costs of getting things wrong can be high. If you don't have the right amount of cover you could be left unable to service your debt if something goes wrong, or people who depend on you could end up in trouble or out of pocket. In our years of professional experience, we've come across people who've filled out forms incorrectly, chosen the wrong type of insurance entirely, or overlooked a crucial detail, leaving them in a much worse situation when they need their claims. Nearly all of these mistakes could have been avoided by consulting with a professional adviser. Insurance brokers take the time to assess what you really need and guide you through the process, eliminating unneeded costs, getting you the right insurance, making sure your real needs are covered and getting those forms 100% correct every time. If you need to make a claim on your insurance, chances are you are going through one of the most stressful times of your life. During this time, processing claims, filling out forms and making sure everything is squared away is a true hassle, and one that you really can't afford to get wrong. Our Insurance service includes full claims management and support, helping you fill out forms correctly, guiding you every step of the way and making sure you get your claim processed as you need it every single time. You don't need any more stress in your life, and making the choice to use an insurance broker to source your cover will take this claims stress out of your hands. The insurance market in New Zealand is ever-changing. New products and providers come and go, and the best insurance for your situation one year could be very different to the best insurance for you the next year. An insurance broker will conduct regular reviews of your insurance to make sure that what you're getting is still the best deal for you. If it is found that it's not, you'll be able to change to continue to get the best cover at the lowest prices. The best way to keep on top of the market and always get the best is to have a professional insurance broker in your service. 4. Zero Cost and Zero Obligation. All the service that an insurance broker provides for you, from giving advice to sourcing your insurance, to conducting reviews and providing ongoing support, is entirely 100% cost free. All you pay for is your insurance premiums. Your insurance broker is paid by the insurance companies themselves at no additional cost to you, so you have nothing to lose by consulting one. In many cases, a reputable insurance broker can leverage their solid relationships with New Zealand's insurance providers to secure you better terms and/or better rates than you could find by going it alone. A broker can also get you indirect savings in cutting out aspects or benefits that you don't need and setting your sums assured at the level you need and not too far in excess of it. When combined with all the other benefits, we believe that taking the time to consult with an insurance broker is a no-brainer. Our insurance team has over 100 years of combined experience in the insurance field. That's over a century's worth of knowledge and experience that they bring to help clients get the best and deal with anything that could arise. 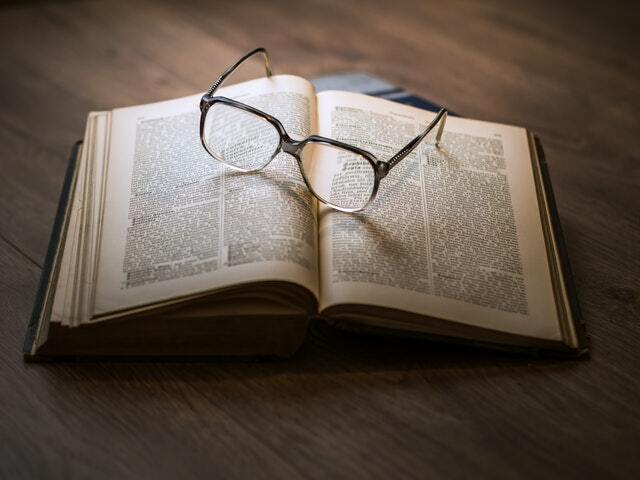 That knowledge is simply invaluable in crafting your insurance policy, maintaining it and making sure that it works the way it needs to and only the way it needs to. Alone, you could be at risk but with 100 years of experience behind you, you will be secure. Visit our official website for more information. Send us an enquiry or request a quote today. New Accident and Illness Cover: Is It Right for You? You are 60 or older and are ineligible for typical forms of disability income protection. You work in a 'high risk' profession and have trouble getting approved for Income Protection Insurance. You want to protect your income should something happen, but you find traditional forms of income protection insurance too expensive for your budget. You wish to add the most cost effective form of income insurance to an existing insurance portfolio. You have income protection, but are concerned about rising costs as you age. Personal Accident and Illness cover is in effect identical to a traditional income protection policy, but with a few key differences. If you suffer an accident or illness that renders you unable to work for a protracted period of time, accident and illness cover will pay you the amount agreed upon to cover the wages you are missing from your employer. This amount is decided at the time you take out your policy. For instance, if you are earning $60,000 and set this as your sum assured, you will receive (after the agreed upon waiting period) monthly payouts of $5,000 so that you can maintain your lifestyle, pay the bills and support the family while you're unable to work. Unlike income protection, there is no age limit, making this a good option for those over 60 who are still active in the work force. The policy will include a maximum claim term, for instance a year or two years of claim payouts before the benefits will cease. The policy is not guaranteed to renew each year and will be reviewed by the insurer based on your current health conditions and claim payout history. Thus in most cases, a personal accident and illness policy will be less expensive than an Income Protection policy. These days, more of us are working and staying active in their later years. We recommend the new personal accident and illness option to those who may be approaching retirement age who want an option to protect their valuable income until that time arrives. We also think this could be a good option for those of any age who have considered income protection but decided not to proceed due to factors of cost, or people of 'high risk' professions that have trouble getting regular income protection insurance. This type of insurance comes with a few added conditions outlined above, but having it could be the difference between having the funds to support your life and not. If you think a personal accident and illness policy could be right for you or you have any questions, use the form here or email enquiry@sprattfinancial.co.nz and one of our professional insurance team will get right back to you. All of our services are completely free and with no obligation to proceed, so you have nothing to lose and everything to gain. We are of the view that the nine-year equity bull market is not yet over with global stocks posting modest gains amid healthy corporate earnings reports and improving outlooks. The momentum of the world’s three main economies (US, China and Europe) is positive, with growth lifting all nations through accelerating trade volumes. This positive momentum is likely through to 2018, although the outlook is not without risk. At current company valuations, the US equity market is susceptible to the Fed starting to raise the policy interest rate. Additionally, political risk has been an increasing feature of the investment landscape in the last 12 months. Recently, the election-weakened UK government is facing imminent and difficult Brexit negotiations, US President Trump coming under sustained investigative pressure from Congressional committees, and deterioration in relations with nuclear renegade states such as North Korea and Iran, create an environment in which markets could prove more vulnerable to negative news shocks. In late July, the Federal Reserve kept interest rates unchanged and said it expected to start winding down its massive holdings of bonds "relatively soon" in a sign of confidence in the US economy. The Fed indicated the economy was growing moderately and job gains had been solid, but it noted that both overall inflation had declined and said it would "carefully monitor" price trends. Steady job creation in the economy has pushed the US unemployment rate to 4.3%, near a 16-year low. The annual rate of Chinese GDP growth has been on a gradual upward trajectory over the past year, rising to 6.9% in the last quarter to June 2017. Tighter credit conditions imposed were expected to slow real estate investment. On the positive side retail sales and industrial production was up 11% and 7.6% respectively. This supports our contention over the last few years of extreme China angst that the authorities have the will and the means to support the economy when required. Japan’s GDP second quarter figures showed that it has expanded for the sixth consecutive quarter, led by a strong rise in private consumption. This may be a positive for the Japan sharemarket but the BOJ pushed out any chance of rate rises for another 12 months (2019). This points to keeping monetary policy extremely accommodative for some time yet. The region’s economy is expanding as year on year growth was up 2.1%, the highest level seen since 2011. Confidence indicators are positive and business sentiment is at levels not seen for a long time. Unemployment across the region is at a nine-year low of 9.1%, GDP growth is expected to be 2.1% for 2017 and inflation of 1.5%. A lot of this positivity appears to be from a pickup in world trade. The Euro has been one of the best performing currencies over this period increasing against the USD and most of the main crosses. It is expected that the ECB’s monetary policy will begin to ease, but this is not expected to start until 2018. The outlook for Australia is moderate growth over the next one to two years, low inflation and an ‘on hold’ central bank, with the risks to growth still to the downside. The Australian economy managed to steer away from a negative GDP result in the March quarter thanks to a modest rise in consumer spending, higher business investment and a bounce back in inventories. Activity data in the second quarter has improved with retail sales spending and exports up, strong business conditions, but growth in 2017 is still likely to be about 2.0%. Another positive is that the decline in resource sector spend will fade and momentum from other sectors outside of resources will support wage and employment growth in 2018. The RBA left the cash rate unchanged at 1.50% in its August meeting with an indication they are in no hurry to move the cash rate from here, but the next move could be up. The New Zealand economy has come through a relatively subdued six months. A series of one-off negatives impacting the final quarter of 2016 (dairy production) and the first quarter of 2017 (transport and construction) conspired to deliver below trend growth of 0.9% over the six months to March. Two consecutive quarters of low growth begs the question of where to from here? With financial conditions supportive, tourism booming and migration strong, we assume a modest rebound over the next few months to around the 0.7% per quarter we think underlying growth is running at. A key implication of the recent Monetary Policy Statement is that, if the economy struggles to reach this growth rate, the Official Cash Rate (OCR) may have to be cut further to deliver the demand pressures required to hit the RBNZ’s inflation target. Earnings momentum is now positive for all major equity regions and we expect this to continue, supported by a solid economic backdrop. A normalising global economy should allow central banks to unwind their ultra-accommodative interest rate policies. We believe that long bond yields are set to rise further during 2017 and 2018. Improving economic growth around the world will generally support equities and challenge bonds. That’s because this growth is more ‘traditional’ in nature, arising from better employment and demand, and thus allowing prices (and potentially profits) to rise. For the remainder of 2017 we are not anticipating further significant upside in either Australasian or global share markets. Investors are aware of high valuations and may well move to protect the capital gains in their portfolios, rather than take on additional risk. 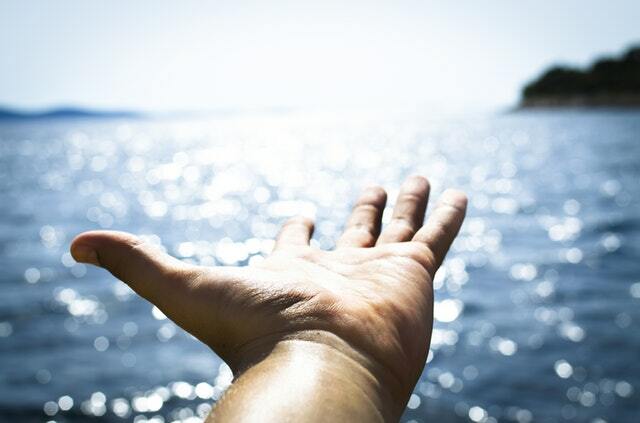 An alternative scenario – market ‘euphoria’ in which investors simply become too complacent and push markets up into a climax marked by narrowing leadership and mounting volatility – remains a distinct risk, but it is still not our main case. This assessment could change if monetary policy normalization were to be interrupted and put on hold yet again, whether for economic or geopolitical reasons. Given the clarity with which the major central banks are now preparing markets ahead of policy moves and the robustness of the global expansion, any significant interruption seems unlikely. Source: Select Wealth Management/JMIS NZ – This is not intended as specific investment advice and is for general information only – Please talk to your Authorised Financial Adviser for more information. While every effort has been made to ensure accuracy Select Wealth Management Limited, JMIS Limited, nor any person involved in this publication, accept any liability for any errors or omission. Health Insurance: Health Insurance is a form of cover which pays for medical costs, and makes it easier for you to access private health services outside of the public system. Although it may seem easy to adopt a standpoint of ‘it won’t happen to me’ as it relates to your health, it is an unfortunate statistical fact that you will require hospitalisation, surgery or medical procedures at some point in your life, in many cases more than once. Within the current medical system, the only way to ensure that you and your family will receive the treatment you need promptly and without throwing your finances into turmoil is by taking out health insurance. We recommend some form of health insurance as a necessity to everyone. If cost is a factor, there are a number of options that are less expensive that we can discuss with you anytime. Life Insurance: Life Insurance is insurance that pays an agreed upon lump sum to the people you choose if you passing away. If you are the breadwinner of your family, or you want to make sure your loved ones are supported in the event of your passing, some form of life insurance is a very good idea. Unless you have an extremely significant amount of savings to cover all of your debt and provide for your dependants as long as they will require, we believe that you should always have a life insurance policy in place. Life insurance, depending on age and physical health, is generally inexpensive and with our help, you could have even better deals, making a life insurance policy extremely useful without being a burden on your finances. 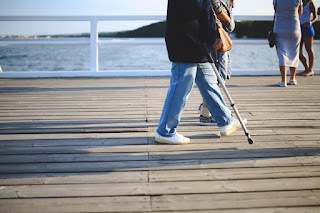 Income Protection and Disability Insurance: Income Protection is designed to pay you an amount reflective of your monthly income if you are rendered unable to work through illness or injury. We can sometimes operate under assumptions that severe illness will result in recovery or in a relatively quick passing away. Unfortunately, that is most often not the case. The biggest proportion of cases of serious illness (heart attack, strokes, cancer etc) result in a protracted period of physical disablement, during which time you will be unable to work and maintain the income necessary to cover your expenses - which will not be on hold until you get better! This is why income protection can be a good option if your family depends on your income to maintain their way of life. With the right cover, you can have the peace of mind that your income will be maintained in the event that accident or illness strikes. Trauma/Critical Illness Insurance: Trauma Insurance is a form of cover which pays out a full or partial lump sum (which is agreed upon when taking out the policy) upon diagnosis of a serious health condition. This is different from income protection in that you are paid the full amount on your policy immediately when a diagnosis is confirmed (or a partial payment for numerous less serious conditions or procedures). This can allow you more flexibility on paying debt, providing capital for your business or supporting your family. Different people have different needs, and depending on your situation a trauma policy could be the best bet. We advise that if you are unsure, contact our professional team. 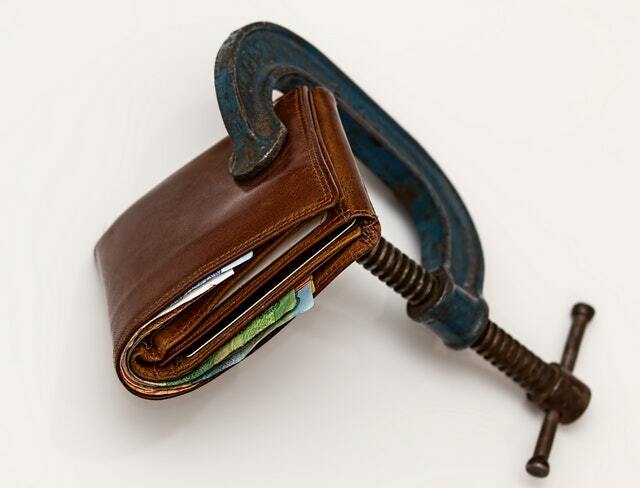 We specialise in looking at your unique financial situation and determining whether your situation would best be suited to trauma insurance, income protection or a combination of both. Key Person Insurance: If you run a business and your business prosperity relies on several key employees or directors, key person insurance is a very good idea. It will provide compensation to your business for their loss if they are disabled through illness or injury and support your business financially until an adequate replacement is found and the business is back on its feet. In some instances, proper key person insurance can be the difference between a business surviving or having to shut down. Insurance can sometimes seem confusing and daunting, but it doesn't have to be. If you are unsure which type of cover is best for your situation, we can help with our completely free and no obligation insurance advice. Simply fill out the form on this page and one of our professional team can be in contact whenever is convenient for you. I Can't Afford Every Type Of Insurance - Which Ones Are Most Important? For most people, it is simply unfeasible financially to have every possible form of insurance available. As such, it becomes a question of discerning which ones are most important for you to have. The answer to this will differ based on your personal situation and our team can discuss this with you more fully at any time if you wish. However, in most circumstances, we recommend at least a basic combination of health insurance (to insure that any medical procedures you need are covered) and life insurance (to provide for the people close to you if something should happen to you). If you have room for more in your personal budget, trauma insurance and/or income protection can provide you with good peace of mind if you were to suffer a protracted illness that renders you unable to earn a living. Keep in mind that many insurers that we deal with offer additional discounts for bundled insurance policies, so even if you think the cost of different insurances could be prohibitive, you could be surprised at the deals we can provide you. What Sort of Insurance Can You Offer? Medical/Health Insurance and Group Medical Insurance for Businesses. Spratt Financial Services can also be your link to a full range of fire and general insurance, including home, contents, vehicle insurance, business stock/vehicle/building insurance, travel insurance and liability cover. Our Insurance Service goes beyond securing you the best cover at the lowest prices. We also provide full claims management, regular reviews to make sure you are always getting the best deal and a professional support staff on hand at all times to help you with anything you may need. Can You Help Me Save Money on My Insurance? It is very likely that we can. Spratt Financial Services can offer you many avenues to save money on your insurance. 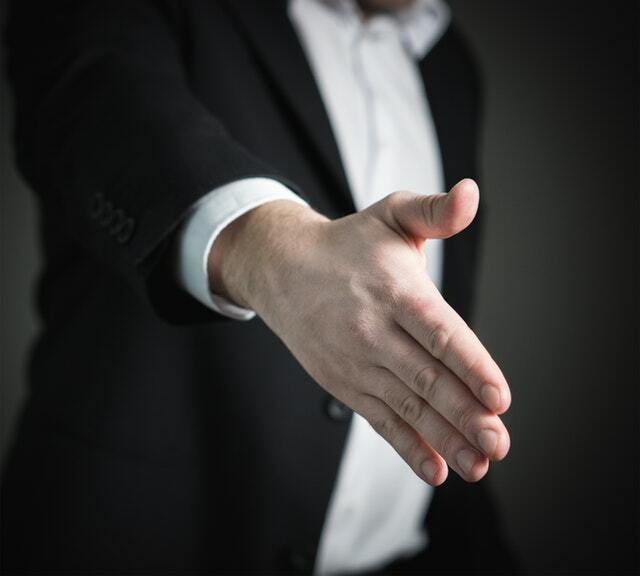 Firstly, with our special relationship with New Zealand's top insurance providers, we can often negotiate better deals for your cover than you will find alone. Also, many people can end up paying more than they need to for their insurance by not having the right sum assured or not having the right type of cover for them entirely. Our professional insurance brokers will take the time to find out your personal circumstances and secure the right cover for you at the lowest prices available. Are There Any Other Options To Save Money On My Insurance? Yes there are. If you are looking to save more money on your insurance, there are certain more specific and less costly options available to you. For example, if you cannot afford a full income protection policy, redundancy cover or personal accident and injury cover are cheaper alternatives (although they come with additional conditions and restrictions). Another less expensive option is mortgage repayment insurance, which will cover your mortgage payments if you are disabled and cannot earn an income. With almost all forms of insurance there are more limited options and conditions that can be applied that will result in lower premiums. Taking the time to plan out which features you need and which you don't could result in higher savings, and we can help anytime making sure those decisions are the right ones for you. Health Insurance: Which Type Of Health Cover Is Best? The primary benefits of having health or medical insurance are guaranteed protection from the risk of having to pay for your own treatment, as well as obtaining the best possible care with the least amount of delay or stress. In general, for most cases, a hospital and surgical combined with a tests and specialist policy will provide you with a basic and effective level of cover. We also specialise in more specific insurance plans covering optical and dental expenses, and also routine GP visits and checkups. As to which specific plan is the best for you, there are a number of variables which our advisers are more than capable of explaining personally in a thorough and understandable way. Feel free to get in touch with us and we can talk you through the options that are best for you. Health Insurance: Are There Alternatives to Health Insurance? Not really. Although it may be tempting to think that you could save the money you would normally pay into a medical insurance policy for possible future use, the levels of medical inflation means that an investment would need to grow at an unrealistic rate to keep up. Obviously there is a chance that you could go through your entire life without ever making a claim (which would be a good thing) but there's also the possibility that you need to make several significant claims. The fact that a record $1.14 billion was paid out in health insurance claims last year speaks to the importance health insurance has to a huge amount of New Zealanders. Health Insurance: What is an Excess and Should I Add One? Having an excess on your policy means that you will pay a part of the cost of your treatment and the insurer will pay the rest. For instance, a $500 excess means that if you required a procedure that cost $5,000, you will pay $500 and the insurer will pay $4,500. Adding an excess to your policy can have practical benefits, as you will get a discount on the policy's cost for doing so. This saving, over time, can add up to a significant total over the course of several years. Furthermore, it is an unfortunate fact that premiums will continue to increase over time. Adding an excess is one of the options we can provide you in order to mitigate these increases, keeping your insurance costs manageable and saving you money. Trauma Insurance: Which Medical Conditions will Allow Me To Claim? Cancer (including malignant tumors), Angioplasty, Aortic surgery, Cardiomyopathy, Coronary artery bypass surgery, Heart attacks, Cardiac Arrest, Alzheimer's Disease, Coma, Dementia, Encephalitis, Major head trauma, Meningitis, Motor neurone disease, Multiple sclerosis, Muscular dystrophy, Stroke, Paralysis and loss of functionality, loss of hearing, loss of sight, loss of speech, loss of use of limbs, advanced diabetes, liver failure, lung disease, renal failure, HIV, major burns, major transplant surgery. If you're unsure what these conditions entail or if you qualify, you can ask us anytime and we'll be happy to help. Which Insurer Provides The Best Insurance Policy? The answer to this question will vary depending on your own personal needs from your insurance plan. There are a number of factors which need to be taken into account when choosing a provider. Every company is slightly different in the way that it structures its cover. For instance, some companies base their premiums on the age of the youngest adult covered, some have ‘per-child’ premiums, whilst others have a flat rate no matter how many children are covered. Companies also differ in the way they process claims for procedures (health insurance) or in the event of the policy holder's death (life insurance). This is why the service we provide can be so beneficial to you, as our knowledge of each company is unmatched, and taking your personal situation into account, we can quickly and easily find the best insurance option for you. What If I Need To Make A Claim? Making claims can be extremely stressful and add a burden to you during already hard times. That's why our insurance service to you offers free claims management to take the stress out of your hands and make sure you get the claims you need quickly, easily and efficiently. We have an unmatched history of getting results at claim time and this is part of the service we offer to all of our clients completely free. How Important is my Health? In general, when it comes to insurance, the better health you're in when taking out your insurance, the less you will pay. If you make the effort to keep in good condition, you will be rewarded with lower premiums and fewer conditions and exclusions (things that the insurance policy will not pay out for). For instance, the cost of risk insurance policies are cheaper for non-smokers and those with fewer pre-existing conditions. The good news is that if you have an existing policy and your health improves or you quit smoking, your rates can be renegotiated and brought down. As well as for your general wellbeing, a healthy lifestyle will definitely pay off when it comes to insurance. Can You Explain Insurance Jargon and Terminology to Me? Sometimes the terms surrounding insurance can be difficult to understand for newcomers. Check out this article from the Spratt Financial Blog which will explain some of the common terms you will encounter when dealing with risk insurance. Will My Insurance Premiums Increase Over Time? Increased risk to the insurer as we age. 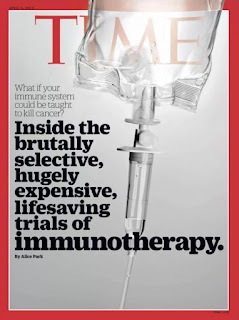 New medical technology (more costly to provide treatment). An aging population (with higher average claims amounts). Rising medical inflation (increasing consultation, treatment and equipment costs). Increasing premiums are a necessary fact of life in terms of insurance, but they are generally small and incremental over time. If you are concerned about premium increases, we can provide several strategies in order to lessen these costs. These strategies can include adding an excess, shifting insurance providers or making policy adjustments, always ensuring your best interests are our top priority. I'm Applying For Insurance - Do I Need To Remember Details Of My Medical History? It is necessary that you can recall as much as you can of your significant medical history. The main thing when completing an application for insurance is to disclose as much as possible of any past medical treatment or consultations. 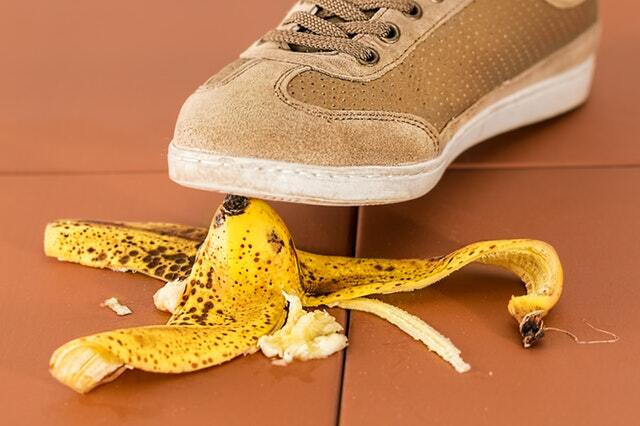 Failure to do so could impact claims on your insurance policy. For more information on how Spratt Financial's team of insurance brokers can assist with your insurance, you can use our contact form to the right of this blog. You can also call us any time at 09 307 8200, or find our individual advisers contact details through the Meet the Team Page. 1. What do you really need the Insurance for? We recommend that you grab a pen and paper and write down what your insurance claim proceeds will need to be used for when it is paid out. If you can't do this now before tragedy strikes, then you may be facing trouble later. Also, having this list in place can give you a reminder of where the money needs to go when it comes time to claim. With insurance, it's always better to be safe than sorry. 2. Will you be able to claim soon enough? Life Insurance pays out in the event of actual or impending "medical death". However, in 94% of cases in New Zealand, deaths are due to medical conditions not accidents. 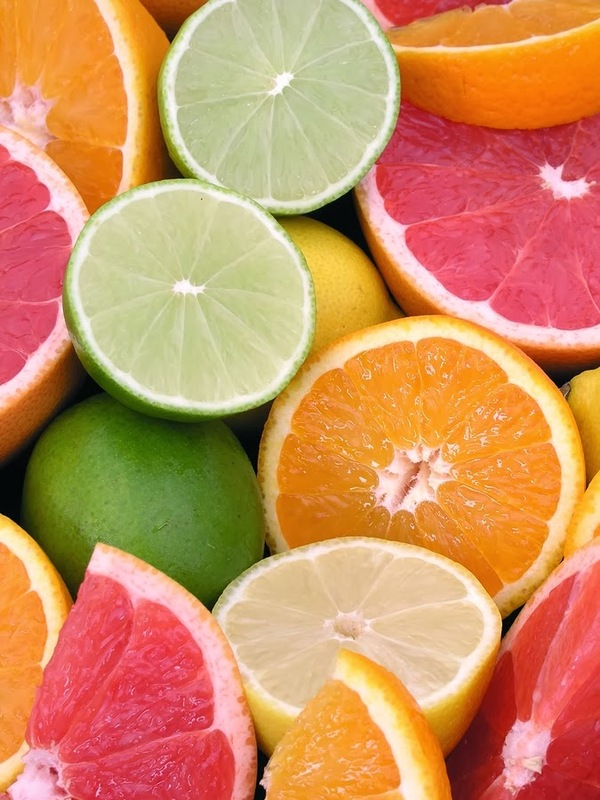 65% are these are due to degenerative medical conditions such as cancers, heart disease and strokes which can kill slowly over what may be an extended period of time. During this time, unable to work and unable to support yourself, your family or your business, you will be facing tremendous financial strain which your insurance may not cover for. Will the bank or your creditors wait until you are terminally ill before your life insurance cover pays out? This is perhaps the most crucial consideration to take into account when assessing your insurance. We can help you ensure that you are fully covered financially in the face of these worrying statistics as unfortunately, basic life cover is most of the time, simply not sufficient. 3. Is the Sum-Assured of your Insurance policy enough? It may sound strange, but a $250,000 insurance claim may not be enough to repay a $250,000 debt. 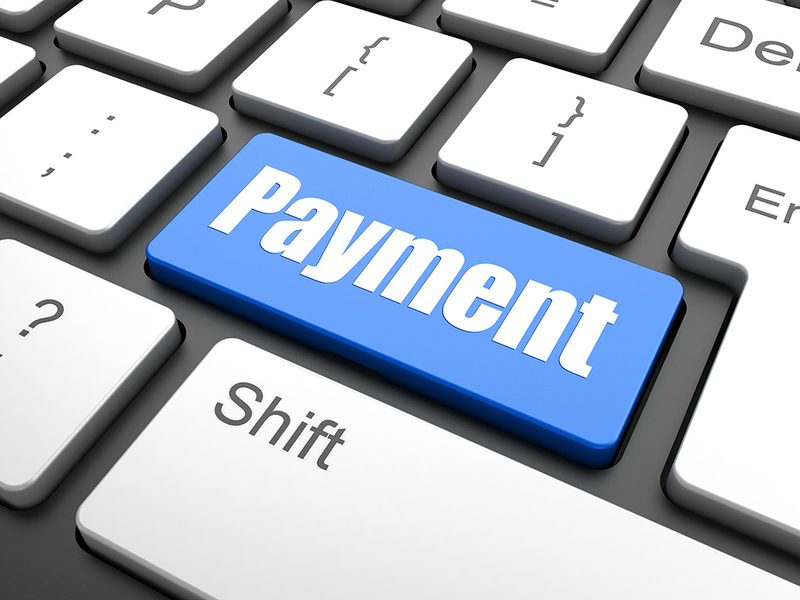 You may have additional interest payments, penalties for being in arrears and you may need to pay a Solicitor, Trustee or your Accountant to carry out these transactions for you. It is crucial that you set your sum assured at the right amount to cover your debt and provide adequately for your family and dependants should something happen to you. Take into account all factors, costs and if necessary, talk to our professional team and we can help you determine the amount you need. 4. Do you know the right type of Insurance you need? If you have income protection insurance - do you have the right kind? If you have health insurance - what does your health insurance actually cover and what do you need it to? If you have permanent disability or critical illness insurance - how are these insurances structured within your overall portfolio of insurance, and how will they work if something happens to you? The bottom line is, you need to figure out what risks you are most likely to face, take into account your lifestyle and your financial situation and then select the right insurance to meet your individual needs. This is why it's so important to have robust insurance advice from insurance professionals like Spratt Financial Services - we can find out what's right for you. Sometimes having the wrong kind of insurance is almost as bad as having no insurance at all. 5. Are you making unwarranted assumptions about your Insurance? Making assumptions about your insurance without proper and solid research and planning is always a mistake. Even assuming that you or someone close to you will be physically, mentally and emotionally capable of applying the claim proceeds to your predetermined targets is not supported by our experience of dealing with hundreds of insurance claims. Question everything, and get a second opinion from insurance professionals to make sure you've got it right. 6. What should you do? We recommend wholeheartedly that you use our experienced professional advisers to not only design and review your underlying insurance plan, but to execute it and carry out the tasks they are best suited to handle. If you don't have a plan now, prepared with clear-headed purpose, then any insurance you do have may well be insufficient or not adequately fit to your unique needs. Use our experienced professionals if you need guidance or advice - our service is completely free and no obligation, so you have nothing to lose! Contact our team for a free, no obligation chat today. Send us a message on Facebook. Drop us a line via Twitter. Recently, one of the Spratt Financial Services team was away on a two week vacation in the USA and Canada and though he couldn't quite believe his bad luck, his circumstances give a crucial insight into the necessity of travel insurance anytime you're abroad. Even moreso, it emphasises what to do and what not to do when something goes wrong while overseas. All circumstances below are real and actually occurred during his travels. 1. Expenses Caused by Flight Delay. The first incident came when he was flying from Los Angeles to Atlanta. In mid-air the flight was re-directed to Charlotte because inclement storms wouldn't allow the plane to land safely in Atlanta. He was grounded in Charlotte for 8 hours before the airline organised another flight to get to Atlanta. It arrived at 2:30am. Since his organised lift from the airport to where he was staying had fallen through over the delay, he was forced to book an unexpected night's accommodation at the closest airport hotel he could find in Atlanta. 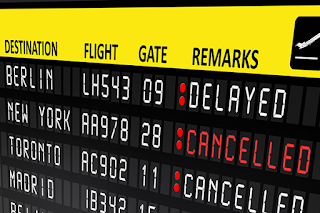 What to do: Some insurers require confirmation of delay or cancellation from the airline, so make sure you get written confirmation from the airline that your flight has indeed be rescheduled or delayed. Also, keep your boarding pass and ask the hotel for a receipt confirming the cost of the stay and payment. This will ensure you have all necessary information and your claim will proceed smoothly. 2. Lost or Mishandled Baggage. On a separate flight in the USA, our unfortunate traveller landed and after waiting 30 minutes for his baggage, realised it had not arrived. It turns out it had been put on the wrong flight and redirected to New York City instead. The airline couriered the bags to him 48 hours later to where he was staying in the US and luckily, the contents were undamaged and complete. What to do: If your baggage is lost or damaged and you have to buy additional supplies/clothing/toiletries/necessities because of it, keep all purchase receipts. To be safe, don't be extravagant in your purchases and try to replace things that were in your baggage like for like. 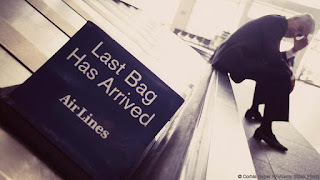 If your bags are lost entirely, get a written confirmation from the airline confirming the contents of your baggage and if applicable, what damage has been done. 3. Travel Interrupted Due to Sickness. Lastly, six days before he was scheduled to return home to New Zealand, he was stricken with a severe stomach virus that caused three consecutive days of vomiting, nausea, weakness and intense stomach pain. He was unable to make the six hour flight from Nashville, Tennessee to Orlando, Florida and had to spend more days recovering in Nashville before heading back to LA and then back to Auckland from there instead. This involved a considerable expense or re-arranged flights, plus losing the value of the flights already booked that he was unable to make. What to do: If you are severely ill while overseas and think that it may affect your ability to travel, it is crucial that you visit a medical professional and get a medical certificate that states that you are indeed sick and unable to travel. Without this, it is difficult or impossible to prove that you were indeed sick and the insurance may have reason to deny or reduce your claim. Also, keep all records of your original travel plans and all receipts and boarding passes of your new flights/alteration fees and proofs of purchase. Conclusion: Because he invested in travel insurance beforehand and because he was diligent in keeping all the necessary documents and proofs, our team member was spared a loss of over $1,000. In even worse case scenarios, that cost can be even higher, depending on the seriousness of illness or the costs incurred by unforeseen circumstances. 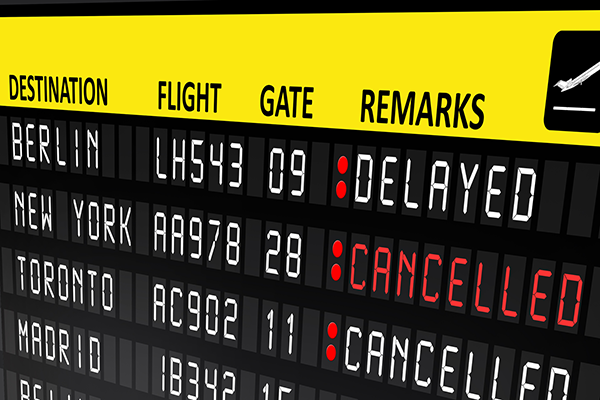 Travel Insurance is generally inexpensive and well worth the investment, but its vital to be aware that just buying travel insurance isn't all there is to it. It's imperative that you take the time to get the necessary documents, confirmations and receipts when something goes wrong. If in doubt, make sure you always get it in writing. 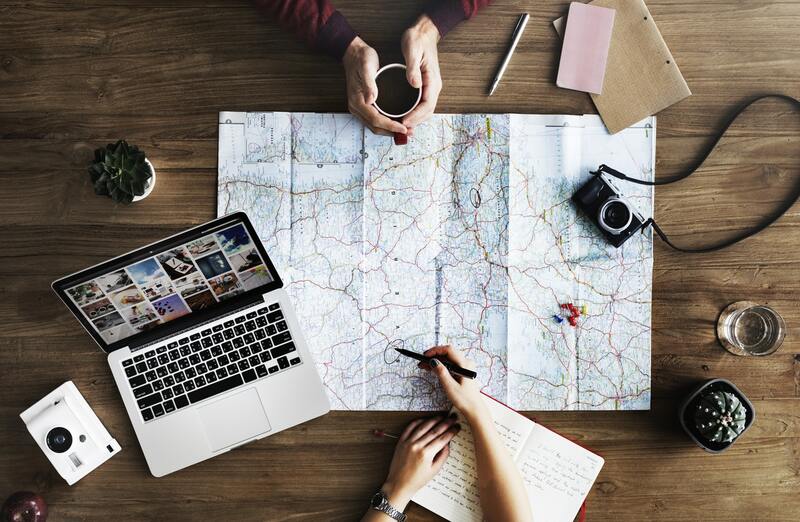 Most reputable travel insurance providers are not looking to deny your claim, but they do require the necessary proof that your travel was indeed disrupted in the way you describe. Be careful, and make sure you read your policy wording before you travel. If you are worried about your upcoming travel or want the responsibility of claims taken out of your hands, we can be your link to affordable and comprehensive travel insurance and offer you our claims management service completely free of charge. If you're interested or would like a quote, contact us anytime here. 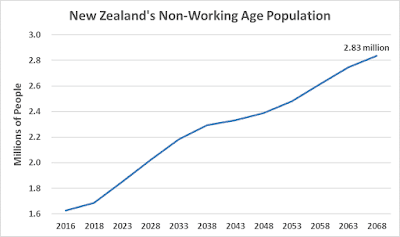 National’s election policy of increasing the superannuation eligibility age has reignited talk about NZ’s aging population and its various implications. There are several reasons behind the aging population including ‘baby boomers’ getting closer to retirement, falling birth rates, and improving healthcare leading to people living longer. 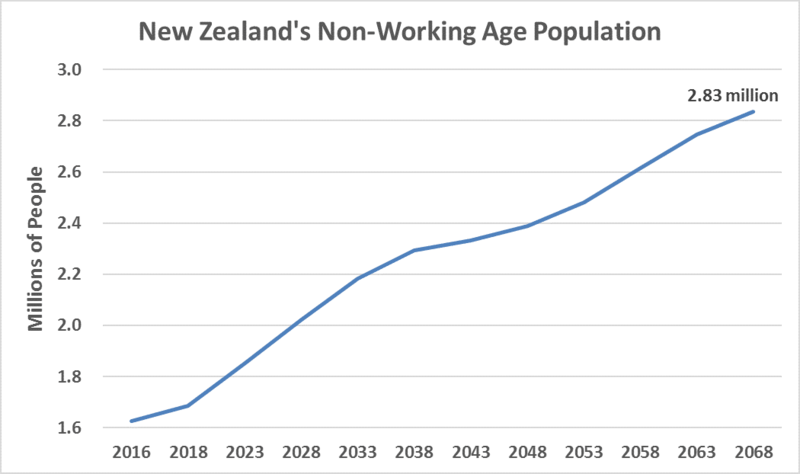 The chart below, projecting the number of New Zealanders who aren’t of working age, illustrates the extent of the issue. Currently, just over 1.6 million people are either over 65 or younger than 15. This is expected to almost double over the next 50 years to just shy of 3 million people (almost half the total population). It’s not just us here in New Zealand who are going through this. Most developed nations are in the same boat - Japan being the worst, with 40% of their current population not of working age and their total population actually in decline! The implications of this are much wider than simply the Government’s ability to provide pensions to a growing number of people. It negatively impacts economic growth and overall productivity, with fewer people to turn the cogs. So how do we solve this issue? There are a few options. One very complex solution involving changing people’s behaviour, is to increase the birth rate. Another is to speed up the adoption of robotics and automation to replace retirees. This will contribute to solving the issue, but requires a lot of investment and won’t necessarily be able to keep pace (50 years ago people were sure we’d have flying cars by now). But it does open opportunities for innovative companies and those catering to the needs of ageing consumers. Another option, and quite possibly the simplest of the lot… immigration. We specialise in assisting clients near or in retirement to manage their nest egg to best suit their future needs. You can email us anytime for our latest SPRATT FINANCIAL Term Deposit rates (0.1% Platform fee). Check out the new edition of the Spratt Financial Services Newsletter here. The new Cancer Benefit recently introduced to the New Zealand marketplace and how it could be a better option for some than full medical cover. How you could have an Insurance Claim waiting and possibly not know about it. The top Medical Insurance claims for early 2017. Are you entitled to free money from the Government? 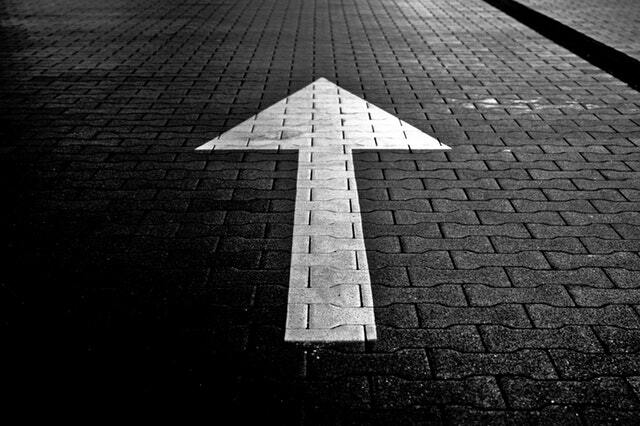 When life changes: Should your insurance change too? A perspective from our professional insurance team. New Cancer Treatment Benefit - Is It Right for You? In response to escalating cancer treatment costs in New Zealand, as well as the inability of many people to afford both a full medical insurance and trauma policy, a new and specific cancer benefit option has been released. As much as 62% of a major insurer's trauma insurance claims were for various forms of cancer, and with the new Cancer Benefit, New Zealanders now have an effective and quality new option to give them the best treatments available. 62% of trauma insurance claims from a major insurer were for cancer. The new Cancer Benefit can be added to a Trauma Insurance policy and covers you for $500,000 worth of surgical and non-surgical cancer treatment. Crucially, this new benefit covers both Pharmac and Non-Pharmac approved drugs, giving you more options for cancer treatment and covering new and more expensive treatments such as Immunotherapy. The benefit can also come with an optional add-on Specialist and Tests benefit that will cover additional specialist consultations and diagnostics procedures up to $5,000 per policy. If you have children, they can also be covered with their own cancer benefit for no additional cost until the age of 16, making this a great option for families as well. 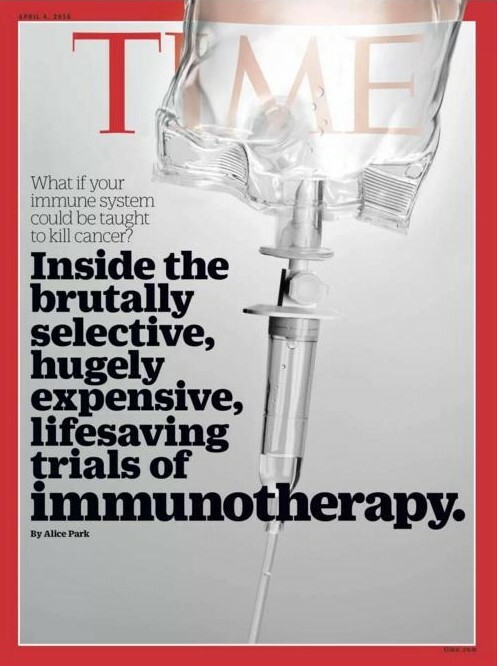 The Cancer Benefit allows access to new and expensive cancer treatments like Immunotherapy. The costs of both a full Trauma Insurance and Medical Insurance policy are prohibitive. You wish to gain access to new and/or more expensive cancer treatments in the event of a diagnosis. You have children and wish them to have access to outlined insurance protection. You are looking for a cheaper or more specific option than a full medical insurance policy. You want additional, inexpensive cover in addition to a Trauma Insurance policy to give you more options and funds if diagnosed. Our team is available anytime if you are interested in the new Cancer Benefit or have any further questions about it. We also offer full claims management service to take the stress out of your hands at claim time. Contact us anytime at enquiry@sprattfinancial.co.nz, use our contact form here or call us at 09 307 8200. How to Avoid Your Insurance Claims Being Denied. Sometimes, people can get the image of insurance companies as money hungry corporate folk looking for any possible reason to deny all possible claims. Fortunately though, in the risk insurance market in New Zealand, that image doesn't hold true. The major reputable insurance providers that we deal with have a great record of paying out claims that are owed, provided they meet the specific conditions of the policy (which is why it's always a good idea to read the policy wording and know exactly what's covered). In general, there are only a few reasons why your insurance claim could get denied, and as long as you avoid them, you can strongly depend on your insurance paying out when you need it during your difficult times. Declare everything, no matter how small or minute you may think it is. If the condition isn't deemed to be serious by the insurers, your policy won't be affected in any way by declaring these things. Consult with your personal doctor or specialist first to remember any health issues you may have forgotten about. It is never a good idea to lie about current health status (or not being a smoker) to save money on premiums. The insurance company will find out upon claims (they are generally thorough) and will reduce or deny your claim because of it. You do not have to disclose conditions you develop after the policy is taken out and they will not affect the premiums you pay or any claims you take out. This is a good reason for you to consider taking out insurance when you are younger and healthier. Proper and full disclosure may be the most important thing when taking out a policy. 2. Premiums Haven't Been Paid: An insurance policy is a contract between you and the insurer, which states that they will pay agreed upon amounts if its conditions are met. One of those conditions is the prompt and up to date payment of the agreed upon premium (the cost of the insurance policy). If the premiums haven't been paid up to date before the claim is formally requested, the insurance company may deny them or ask for payment before the claim is processed. Thus, its important not to get too far behind on your insurance payments as this is generally one of the only reasons claims get denied. 3. Conditions Have Not Been Met: If the specific condition or occurrence you're trying to claim for is not specifically covered under your policy, the claim will be denied. Sometimes a specific medical condition for instance can range in severity, and if the severity of your condition doesn't meet that specified in the policy, it won't qualify for a claim. The good news is, all of these details will always be specifically and thoroughly outlined in your policy wordings, so reading it thoroughly before, during and after taking out your policy is always highly recommended by our team. In our more than two decades in the insurance industry we can assure you that insurance companies aren't looking to deny your claims. In return, their expectations of you are that you are honest, truthful and complete in your disclosures and maintain the agreed upon payments for the policy. If you have done so, you can rest assured that you will have very little to worry about when it comes time to make a claim. It's an age old question: What are interest rates going to do? The answer to this question influences decisions for investors and borrowers alike, mostly around the length of time to commit to in order to maximise income or minimise borrowing costs. While interest rates in the United States have started to move upwards, what is in store for New Zealand? New Zealand's Official Cash Rate (OCR) currently sits at an historic low as our Reserve Bank has struggled to get inflation up into its 1-3% target range. However, the low interest rates have helped the local economy pick up strongly. This has been aided by significant migration into New Zealand. Yet the increase in migration, whilst giving a boost to the economy, has also supplied additional workers, helping to limit wage increases. Additionally, the resilient New Zealand dollar is helping to keep import prices from rising too fast. The result is that the Reserve Bank will want to ensure that inflation is not only seen in action but also likely to persist before contemplating raising interest rates. For these reasons, while a turn in interest rates is in order, the OCR is unlikely to actually begin rising until later in 2017 at the earliest, with some economists even suggesting not until 2019. When the OCR finally does begin to rise, it will be good news for savers and the increasing number of New Zealanders enjoying their retirement years. In the meantime, at least New Zealand's rates remain well above those in most other developed countries around the world. The NZ central bank left rates on hold at 1.75 percent and while it indicated higher interest rates were possible in the future it's not planning to move any time soon, saying monetary policy will remain accomodative for a "considerable period." Investment funds have had quiet start to the year, seeming to still be on holiday with returns relatively flat during January. Funds' New Zealand share investments rose (and are up 20% over the past year), although the New Zealand Dollar was also up 5% which took the gloss off gains on overseas shares. Despite the new US President providing an ongoing series of news fodder, generally economic confidence around the world is starting 2017 on a high note. This is an encouraging sign in the year ahead for company earnings, one of the key drivers of shareholder returns.